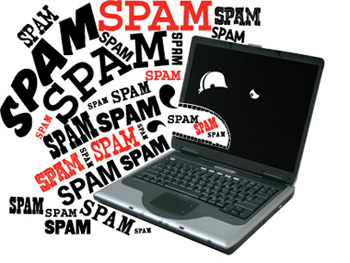 There are two spam campaigns going around these days that you should be made aware of. One of them tries to scare you into thinking that a new variant of the Conficker worm has been released. It then advises you to download the attached file in order to keep your system protected. The attached file is called install.zip and wouldn’t you know it, it contains a Trojan. If you are gullible enough to download the Trojan on your machine, it will install rogue security software application Antivirus Pro 2010. This is not the first time that people with malicious intent pick on Kanye West. Back in January someone broke into the artist’s MySpace and Gmail account and spread the wild rumor that Kanye is willing to star in a bisexual adult movie. Getting back to the issue at hand, it seems that numerous internet users have reposted the spam message WITHOUT checking to see if it is accurate. Perhaps they don’t like Kanye all that much. A simple web search would have revealed that the artist is well and fine. But by now this is has become dangerous – hackers took advantage of this wild rumor, used SEO techniques and started pushing malicious web pages that claim to have details about Kanye West’s death. These web pages appear amongst other search results – the difference is that they lead to malware spreading sites.